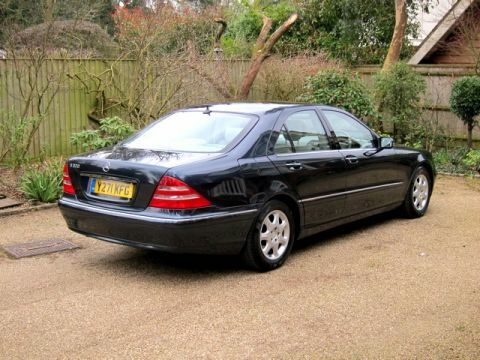 MERCEDES-BENZ S320 4 DOOR AUTOMATIC PETROL SALOON, 2001 Y, 64000 MILES, ONE OWNER, FULL MERCEDES SERVICE HISTORY, METALLIC GREY. 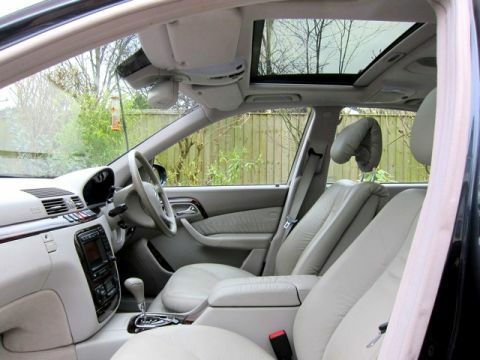 High specification car with only one owner from new and in totally unmarked condition throughout. 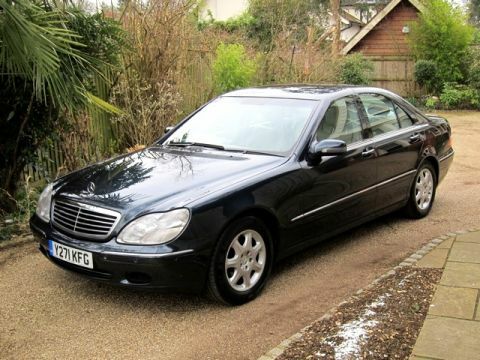 Genuine low mileage backed up with a full Mercedes service history. 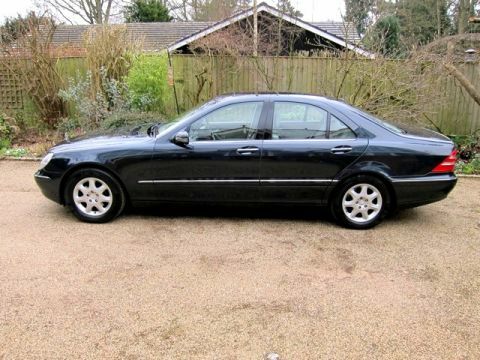 THE ADVERTISED PRICE OF THIS CAR INCLUDES 12 MONTHS WARRANTY WITH WARRANTYWISE WORTH UP TO £450.00. 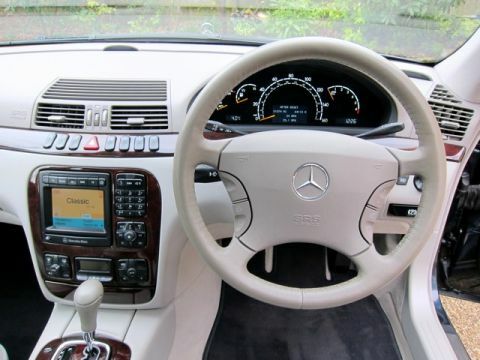 Command Satellite navigation and Car phone preparation with Linguatronic Power steering Dual zone climate control Electric glass sunroof Full leather interior with heated fully electric memory seats Radio CD and Cassette Alloy wheels Anti-lock brakes Front & rear electric windows Remote central locking Cruise control Alarm Power fold electric heated door mirrors Electric adjustable steering column Auto dimming rear view mirror Multi airbags Drivers seat lumbar adjustment Front and rear centre armrests Rear head restraints Front fog lights Headlamp wash Multifunction computer Outside temperature display Multifunction steering wheel Traction control Front and rear parking sensors Remote stereo controls Xenon headlamps with automatic activation.